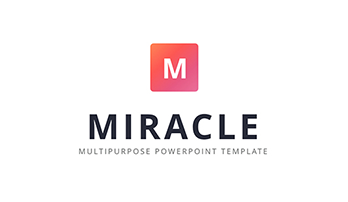 AIDA Marketing Template for PowerPoint (.PPT, PPTX) - Download Now! 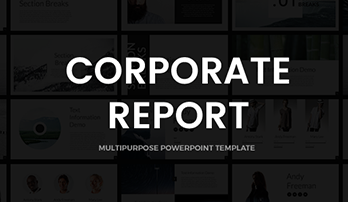 The template represented above is designed for PowerPoint users. Supported versions are .PPT, .PPTX. 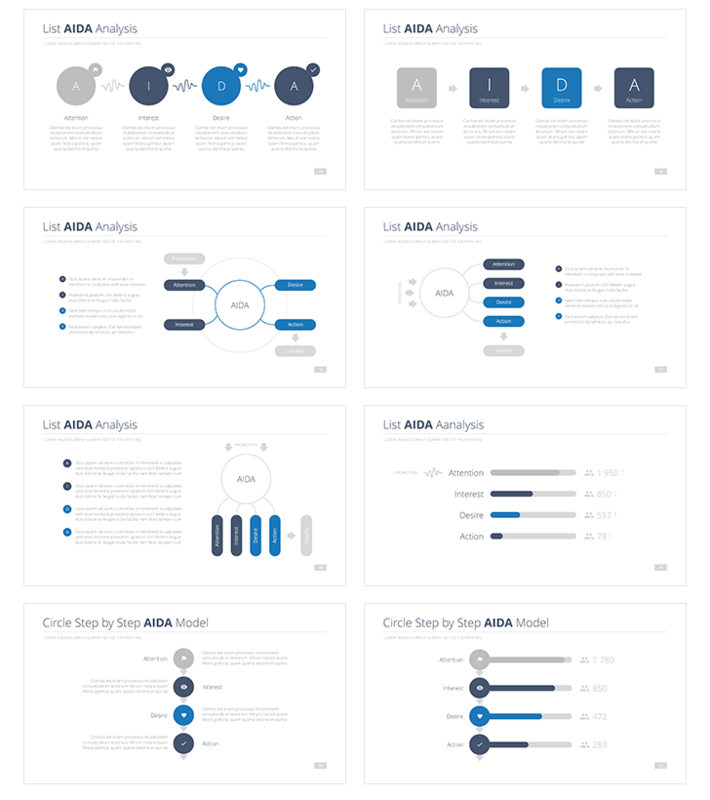 The presentation includes 21 unique slides on each of which you can find different combinations of AIDA analysis. AIDA is an acronym. It stands for Attention, Interest, Desire, Action. This analysis is a marketing and advertising model of consumer behavior. The model describes a number of steps or stages that a potential consumer comes through from the moment of product awareness till the time of purchase. Thus, the first step is Attention – at this stage, the consumer finds out the good or product. Then Interest comes – the consumer demonstrates interest by means of learning about it. Next stage is Desire – the consumer has desire to buy the product. Action is a final stage – the consumer makes purchase. 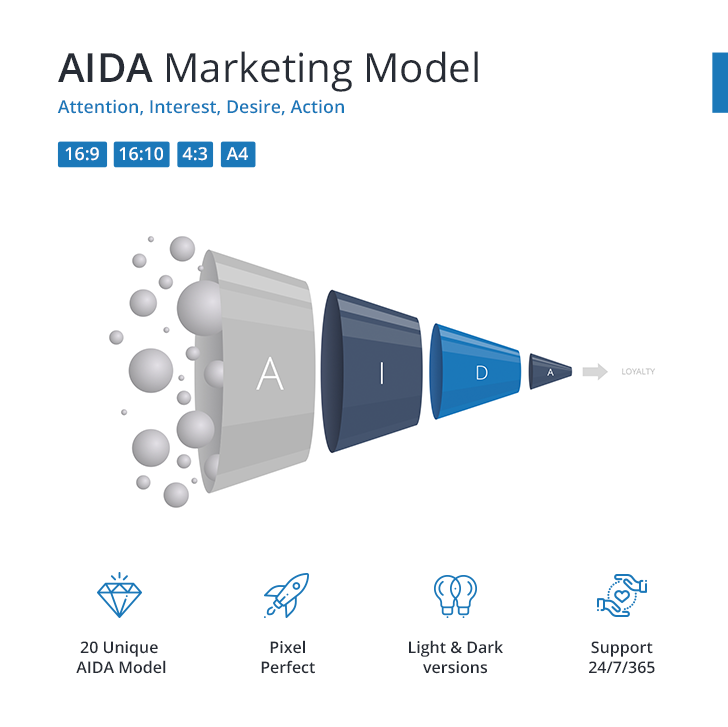 The AIDA model is widely used while advertising, preparing managers, trade dealers, forming sales strategies. 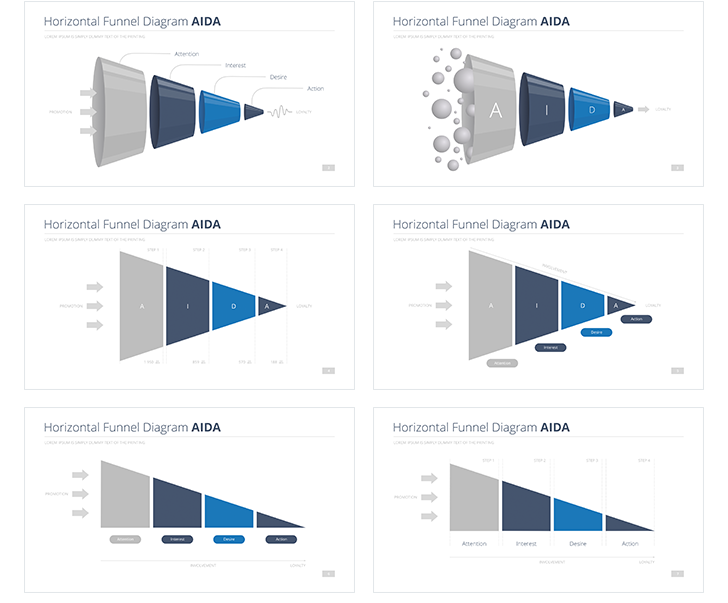 The template accounts different diagrams, such as Funnel Models, Horizontal Funnel Diagrams with its modifications, Circle Step Models, List Analysis. The sample has a modern design. The template is fully editable. You can change whatever you want in two clicks. 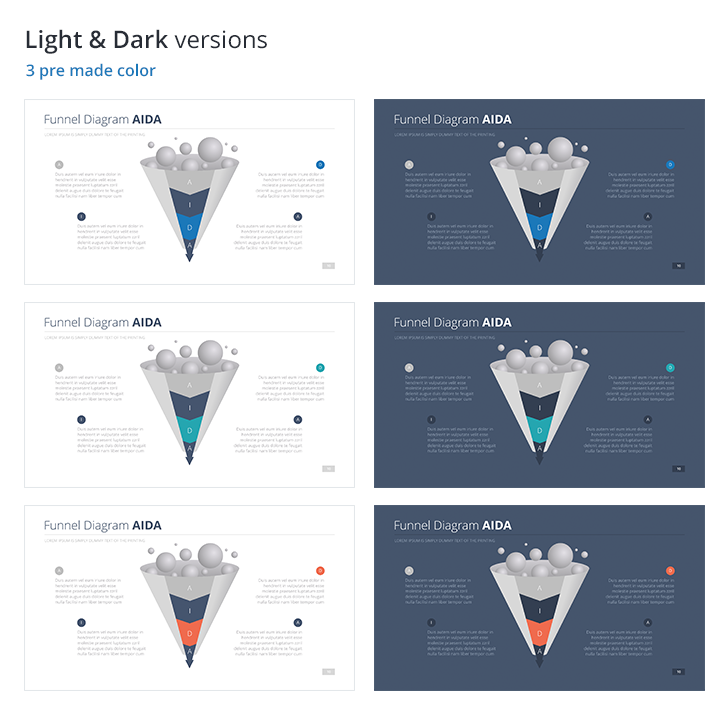 Thus, you can freely change colors, work with graphical effects, icons and other elements. The size is changeable without presentation quality deterioration. When showing your projects and presentations on the displays with high resolutions, the quality of the presentations remains excellent. 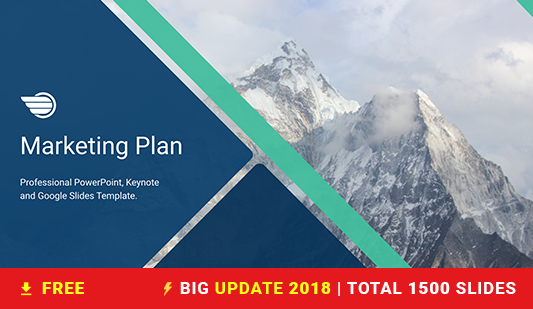 When printing the presentation, it will also be well. 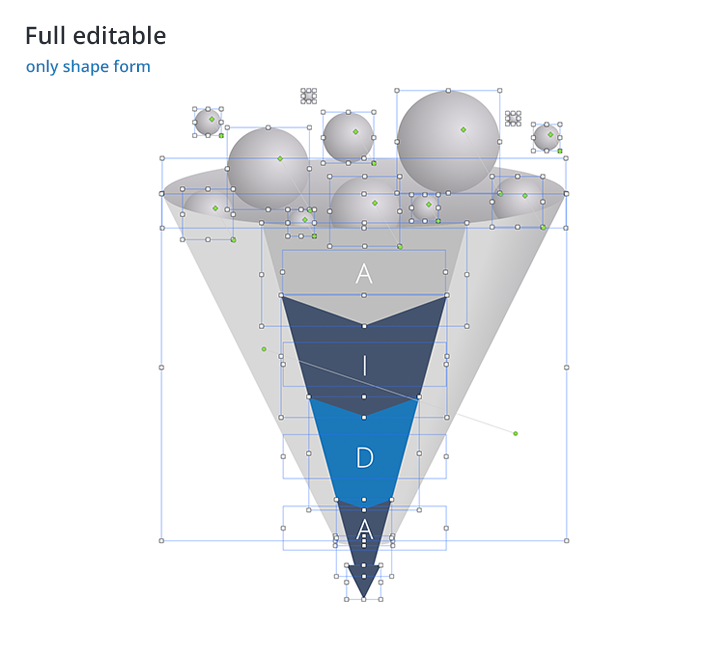 4:3, 16:9, 16:10, A4 Aspect Ratio is available for the template. 24/7/365 Support is always at your disposal. We will be glad to answer your questions. 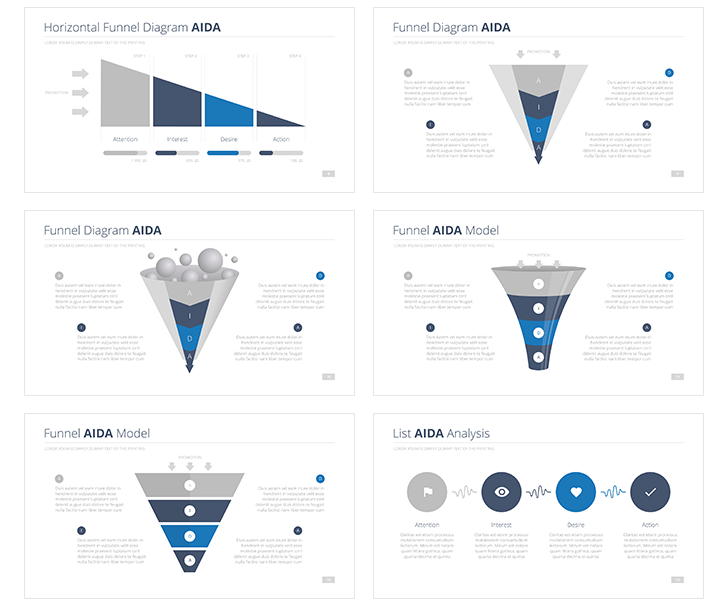 The AIDA template for PowerPoint is designed for marketing, advertising, and similar fields.